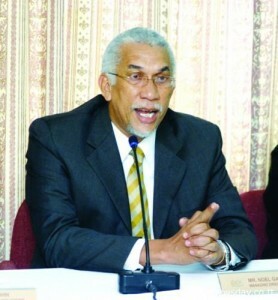 Trinidad and Tobago is anxiously awaiting Prime Minister Dr. Keith Rowley’s dismissal of Noel Garcia as Chairman of Urban Development Corporation (UDECOTT). Apart from his indictment by the Commission of Enquiry into Las Alturas in the scandalous waste of $80 million of taxpayers’ funds, Mr. Garcia has now crudely attacked the commissioners appointed by His Excellency the President. The Commission of Enquiry found Mr. Garcia directly responsible for construction of public housing on highly unsuitable land, and recommended that civil liability action be taken against him. Mr. Garcia’s blatant response has been a vile personal attack on the distinguished Commissioners. The crude and crass verbal assault is an all-time low point in civility toward individuals and institutions. Such behaviour is most unbecoming of the leader of a State Corporation. Mr. Garcia combines the toxic brew of raw incompetence and barefaced arrogance. Mr. Garcia’s rant and threat of legal action have no foundation and, like Alturas, will also collapse. Dr. Rowley is duty-bound to remove Mr. Garcia as Chairman of UDECOTT, one of the largest and best-funded Government corporations.